Prev Cotton Ball Bunnies in Terrariums for Easter (and Spring) Next Dragon Easter Egg Creatures! I don’t know about you but I keep my plastic Easter eggs from year to year to reuse. It’s my way of cutting down on plastic waste I guess. 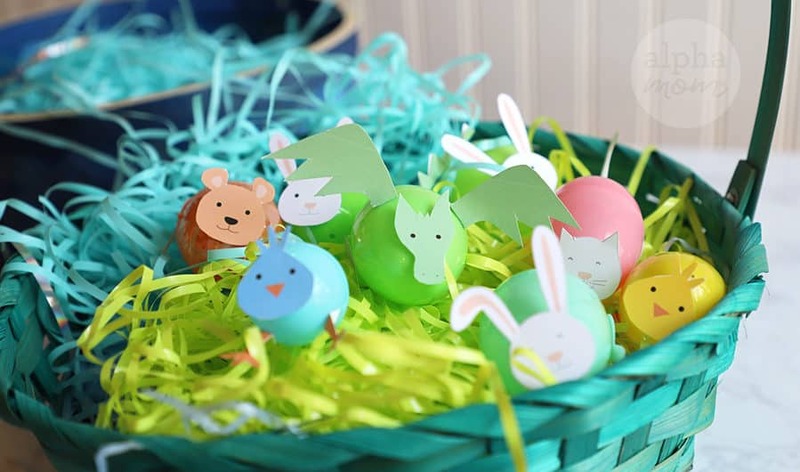 But, it seems like every time I’m in Target or the drugstore they have invented a new cuter version of plastic eggs and I’m always hankering after them. How is that possible? I now see rainbow eggs, unicorn eggs, opalescent sparkly singing eggs for sale. I decided I would take this into my own hands and create Easter Egg CREATURES! Download our handy printable and you can too! 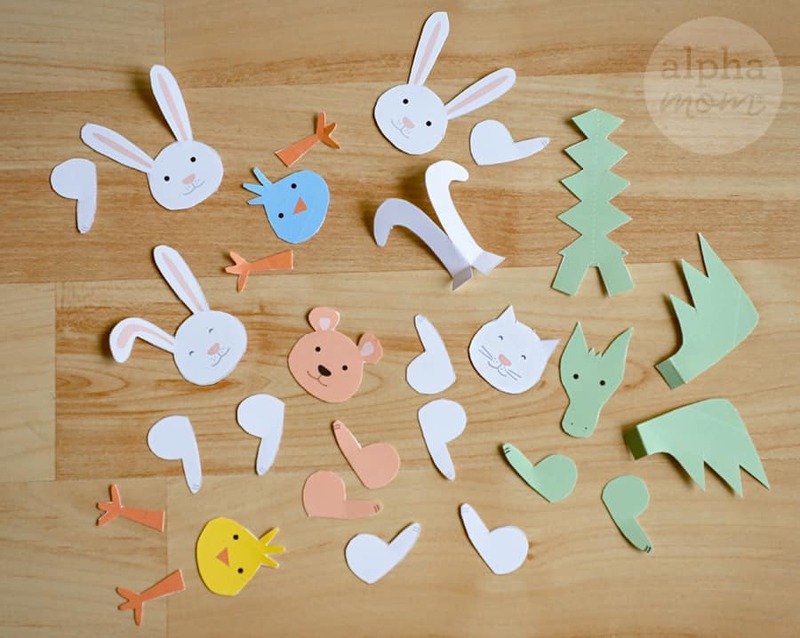 First cut out all your little creatures’ faces, arms, and legs. This is the part that will take some patience. Hang in there, it’s worth it. Next fold along all the dotted lines. Gather all your supplies together and start assembling! 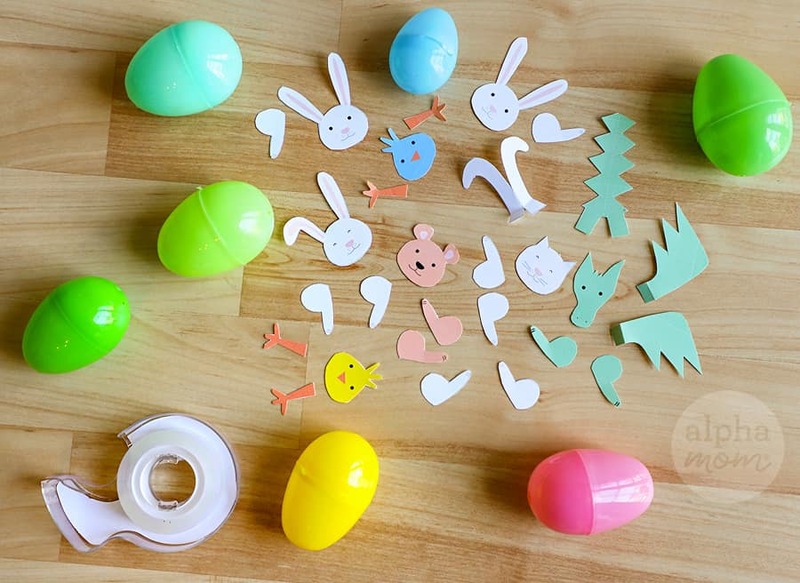 Using bits of double stick tape (you can use scissors to cut pieces even smaller), stick your creature heads and faces on either the fat or narrow end of your plastic eggs. You can play around with placement to create different personalities. 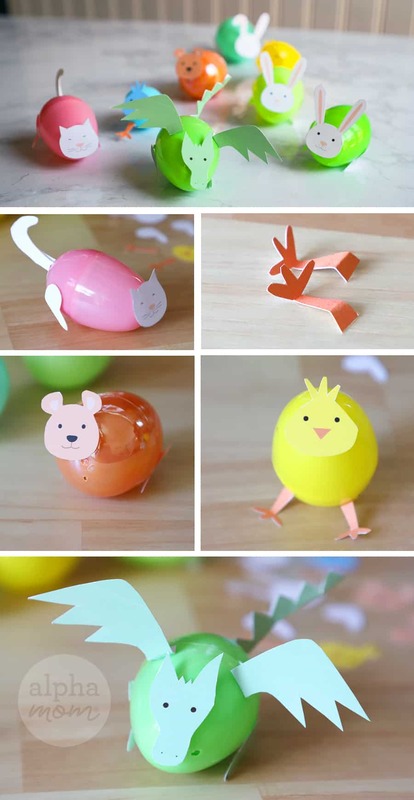 The fun thing about making Easter egg creatures is that they are wobbly. Adding the legs to the sides will cut down on some of the wobble and keep them from rolling off your table, but not all of the wobble which is part of the fun. You’re going to want to whip out your phone and make a boomerang or two. For the cat tail and the dragon tail stick the two folded sides together and use the tabs to attach to your eggs. Easy peasy, right? 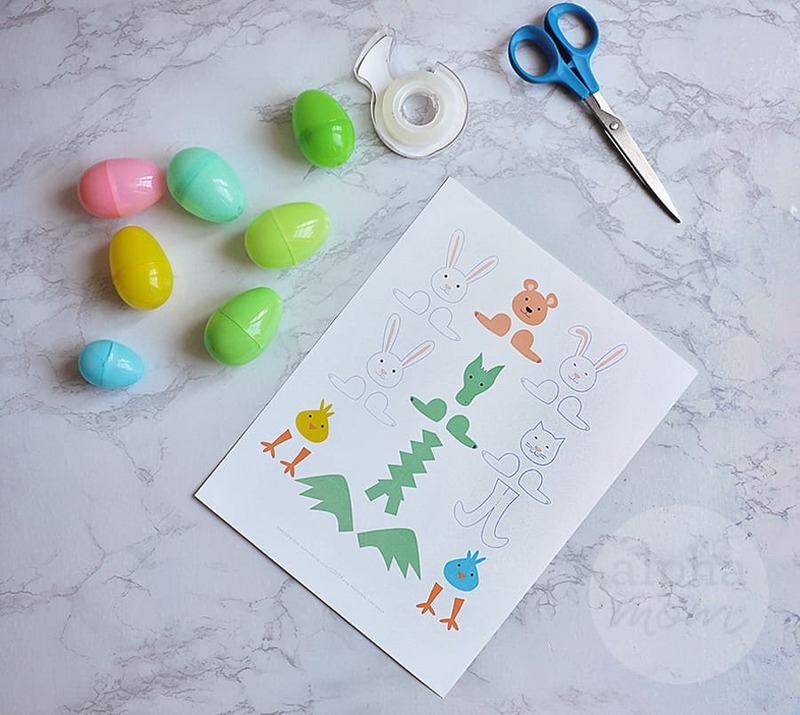 Be careful not to tape any pieces and parts over the seam of your eggs where they pop apart because you’ll want to be able to open and close them to put Easter treats inside. 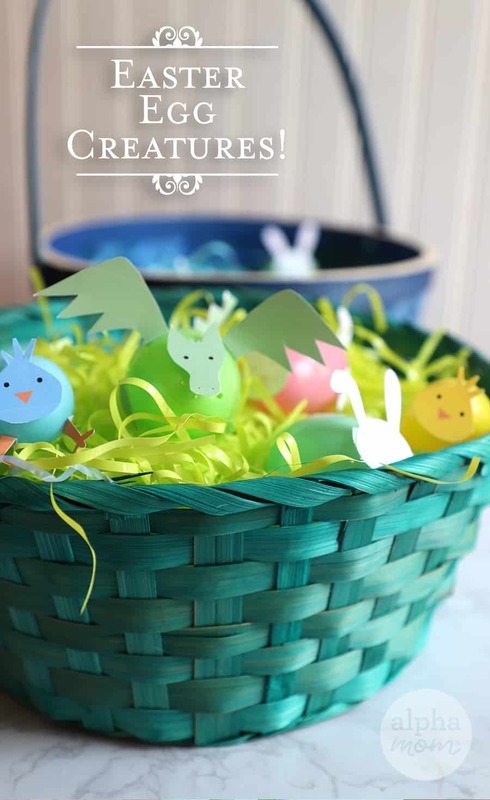 And speaking of treats, how cute are all your little creatures in a basket? It’s almost like they are just waking up and ready to scramble out of the nest!